The Global Episcopal Mission Network is your go-to place for global mission news, information and best-practices that you can bring back to your church, diocese or mission organization. Because you need the tools to be equipped for the ever-changing landscape of international mission, GEMN does the work of gathering resources for you. We pull together global mission information, trends, and experts from around the Episcopal Church and the wider communion, saving you time and energy for your role in global ministry. Members take advantage of discounts on our annual Global Mission Conference, to connect with leaders in global mission from around the world, receive education and training in mission best-practices, and be inspired and re-energized by prominent speakers, global mission organizations and experienced missioners. 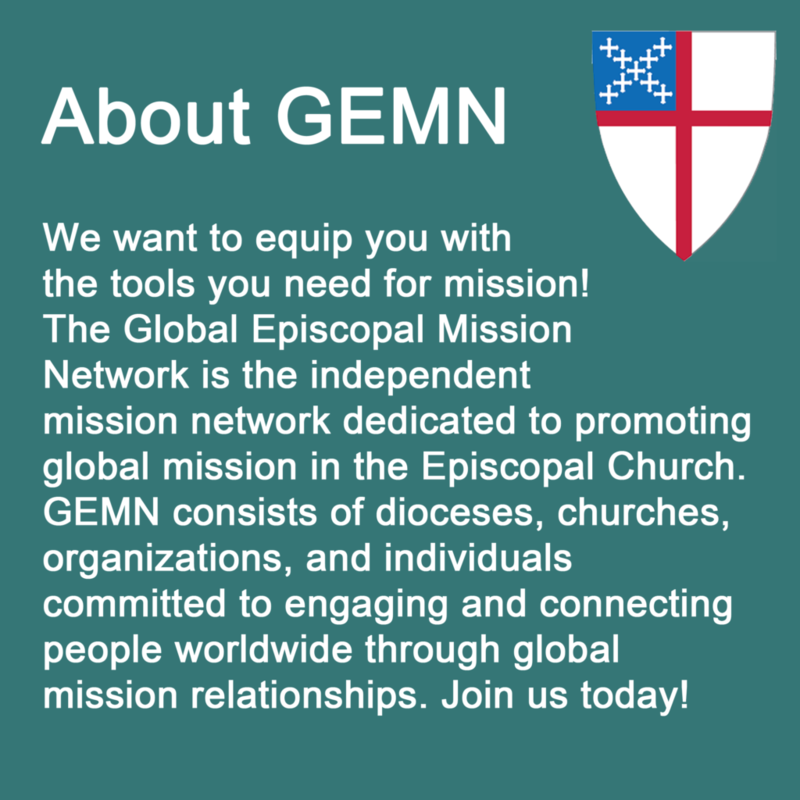 As a GEMN member, you have access to global mission resources, training and consultation for yourself, your church and/or your diocese. 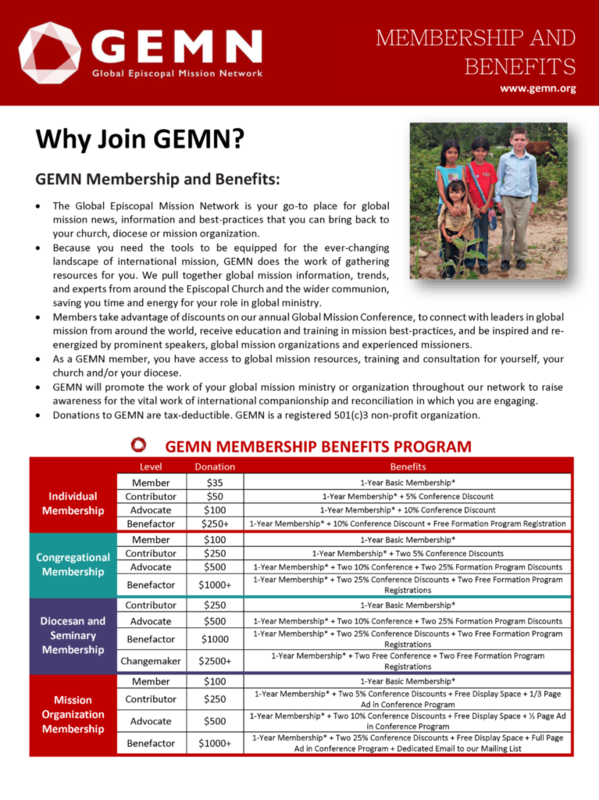 GEMN will promote the work of your global mission ministry or organization throughout our network to raise awareness for the vital work of international companionship and reconciliation in which you are engaging. 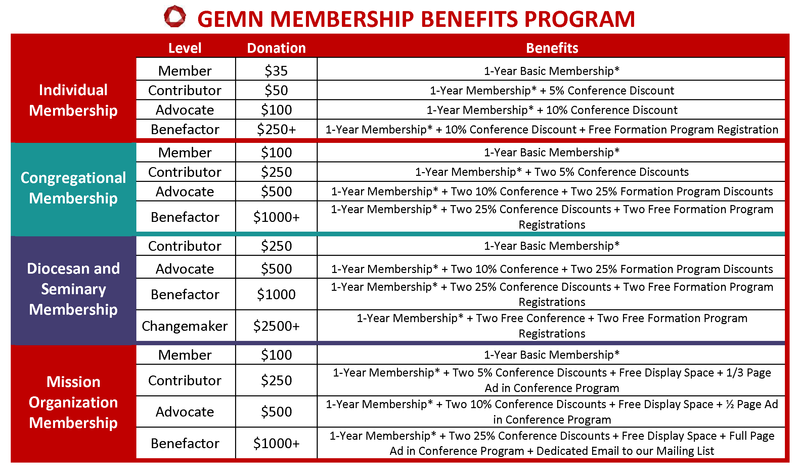 Donations to GEMN are tax-deductible. 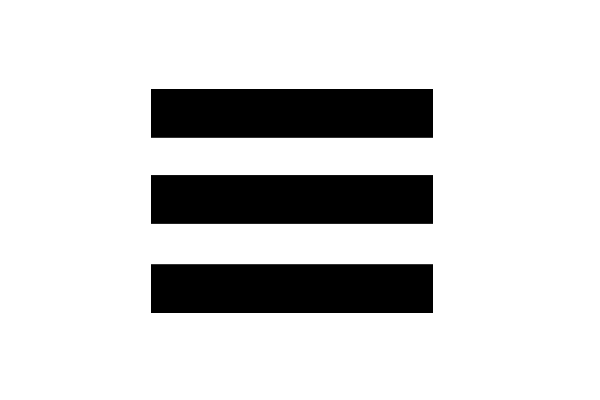 GEMN is a registered 501(c)3 non-profit organization.